Only ErgoRack provides drop down ladder rotation. Dual, single, or combination models available. 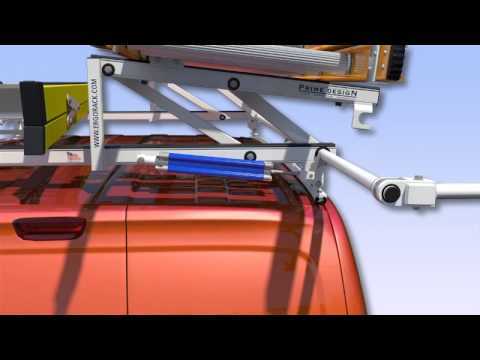 Roof capacity of City Express is 220 pounds when using all three mount locations.